One way to do this exercise is to tell your students to look at the first picture/sentence and to decide whether to use the present simple or present continuous tense of the verb in the brackets. Then you could tell them to put the verb into the "other" present tense making the necessary changes. 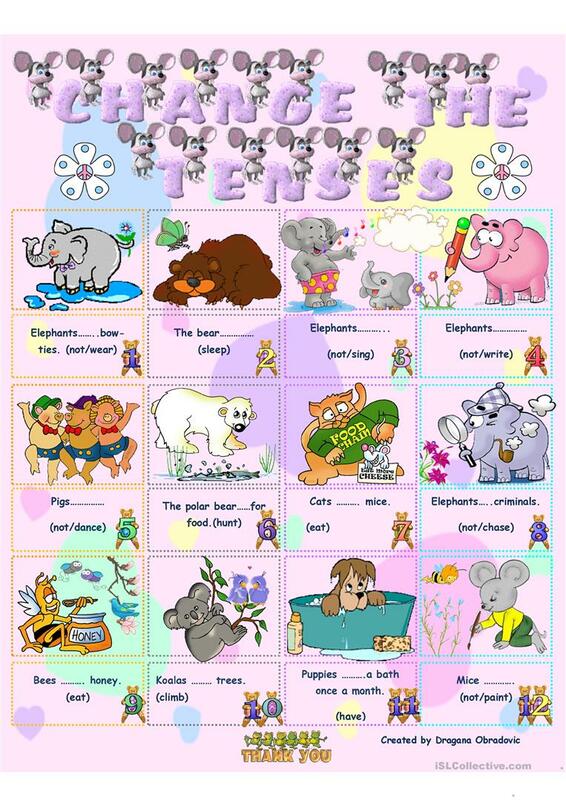 Other tenses can be used as well. Eg. Elephants don`t wear bow-ties. The present downloadable handout is intended for elementary school students and students with special educational needs, learning difficulties, e.g. dyslexia at Elementary (A1) and Pre-intermediate (A2) level. It is great for consolidating Present simple tense: S for third person singular verbs in English, and is a valuable material for enhancing your groups' Speaking and Writing skills. It is focused on the vocabulary topic of Actions.